Come in and see a few images from the book, plus ones I didn't include (or turned up later)! Enjoy listening to "All Quiet on the Potomac," made famous during the war. . . . 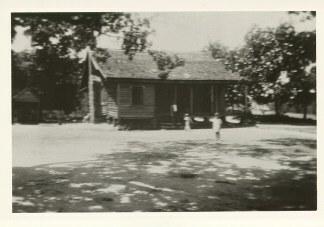 The James Pendleton Mangham home place in the Springs District of Pike County, Georgia, 1934. One of his sons was Cpl. 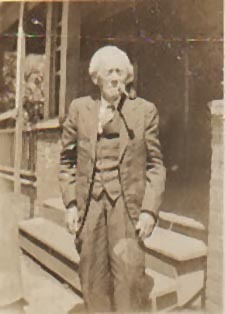 Charles Absalem "Nat" Mangham (see below), who lived at his Uncle John's home in Zebulon much of the time. 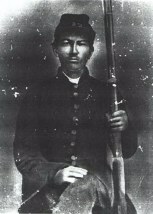 Nat and his brother, Will, were both wounded at Sharpsburg while serving in the "Confederate Guards," Company A, 13th Georgia Infantry. Nat survived to surrender at Appomattox, and later moved to Panola County, Texas. 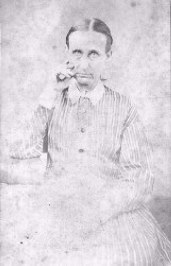 Will's severe wounds disabled him for active field service, so he spent time in the 1st Georgia Reserves as a lieutenant. The regiment had the unpleasant duty of guarding the notorious Andersonville Prison. 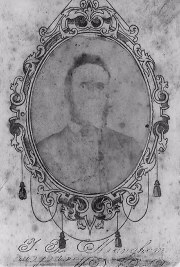 Will died in Pike County in 1874 (click here to see his grave). See Nat's grave here. Cpls. Nat & Will Mangham, "Confederate Guards"
Sharpsburg, Maryland (Antietam), September 1862. The Seaborn Moore home in Butler County, Alabama. 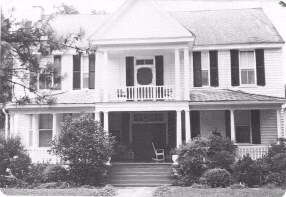 His stepsons, Charles Arthur Mangham and William T. T. Mangham, lived here before enlisting in the army. 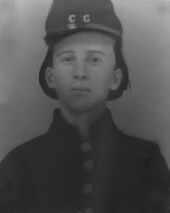 Charles was captured at Missionary Ridge in November 1863; refusing to take a loyalty oath, he spent the rest of the war in prison. 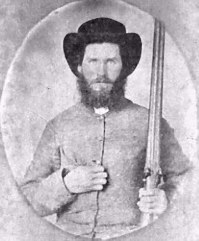 Willie was wounded at Spotsylvania in May 1864, recovered, and was captured in March 1865 during Lee's assault on Fort Stedman at Petersburg, Virginia. 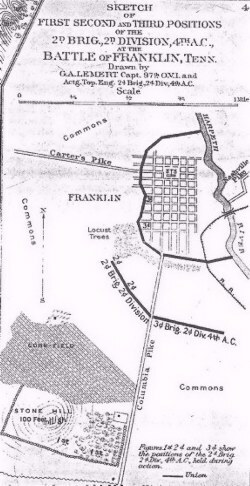 John Willis Mangham and the 2nd Georgia Battalion Sharpshooters seized the "Stone Hill" (lower left) at Franklin, Tennessee on November 30, 1864. They cleared the way for the Army of Tennessee's main attack, in which 7000 men became casualties in five hours of ferocious combat. Sixty-five regimental, brigade, and division commanders fell in this assault. If you can verify the identities of the persons pictured below, please contact me! 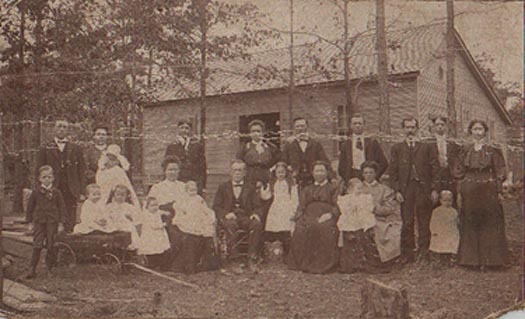 Photos courtesy of Jack Martin, Birmingham, Ala.
Below: Unknown persons, possibly the Mangham brothers of Rayville (Thomas & Henry), or their in-laws. 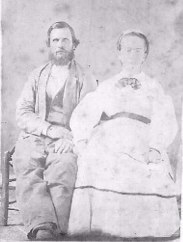 Below: Zoetta Martin Mangham, daughter of Francis Joseph Mangham (Co. A, 1st Mississippi Light Artillery), and her husband, Samual George Young. Their children are (l-r) Sam, Alonzo ("Lonnie"), Robert, and Guy. 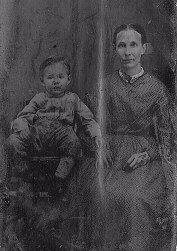 Photo courtesy of her g-grandson, Clyde Woodruff, Jr.
Below: The Wiley Paul Mangham family of Chambers County, Alabama. 1. 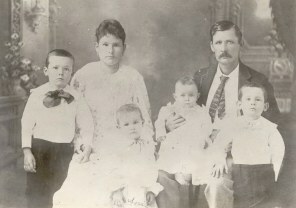 Son, Charles Edgar and Fannie Dove Bradfield Mangham with children Ernest, Thelma, Auston and Horrace. 3. 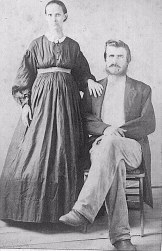 Wiley Paul and Mary Frances Waldrop Mangham. 4. 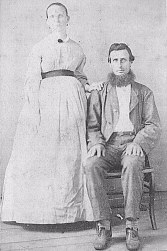 Behind them are their son James Thomas and Ella Andrews Mangham, with Ella's niece Mattie, whom they raised after her parents died. 5. Next are son Robert Waldrop and Lee Anna Elizabeth Bradfield Mangham, and their son James Tyler Mangham. 6. Next are son-in-law G. Willie and Marianna Ada Mangham Johnson, and their sons, Charles Anason and Otha Perry Johnson. 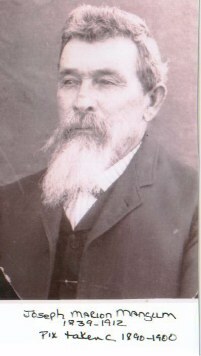 This photo was taken about 1906. Here is another 1931 photo of Wiley Paul Mangham, also courtesy of Judi Gaddy. See Wiley's grave here. Thanks to his descendant Beth Parsley, see a photo (below) of Joseph Marion Mangum, formerly of Company C, Terry's Texas Rangers (8th Texas Cavalry), taken c. 1890-1900. Joe was a first cousin of John R. Mangham, and they enlisted together from Gonzales County, Texas.